One of the great revelations of the 2017 Rocky Mountain Land Use Institute (RMLUI) annual conference on “Creating Inclusive Communities” that I wrote about here was learning more about Denver’s rapidly urbanizing neighbor to the east. Given its burgeoning immigrant and refugee population, Aurora is making major strides to accommodate cultural diversity. Indeed, the city can be considered a national leader in this effort. Although the organizers of the “Aurora: A City in Transition” session at the RMLUI conference lamented its relatively low attendance, it was the highlight of my conference. Aurora’s efforts are instructive for a wider audience of planners and scholars interested in promoting development of a more inclusive city. Aurora has never gotten much love as Denver’s next door neighbor. It has long been known as a bland, sprawling suburb. When I moved to Denver 30 years ago, Aurora was disparagingly referred to as “Saudi Aurora,” a not-so-subtle comment on the city’s emerging status as a destination for immigrants. Today, Denver still commands the lion’s share of attention in these parts. But Aurora has become a force to be reckoned with. It’s the 54th most populous city in America (around 350,000 people), exceeding the population of such notables as St. Louis and Pittsburgh. A new light rail line is knitting some previously disconnected parts of Aurora together, and Aurora to Denver. The system links a major technology hub to the south (the Denver Tech Center), downtown Denver to the west, the Aurora Municipal Center and University of Colorado (CU) medical campus, and Denver International Airport to the north. Mixed use development is occurring at transit stations. Distinctive amenities like Stanley Marketplace, on the site of an old aviation factory in one of the more historically blighted parts of town, is getting some run as a new kind of development predicated on an explicitly communitarian vision and “bohemian” business ethic. Aurora is already a majority-minority city, which enhances its relevance as the American demographic transition proceeds. The most significant influx of immigrants and refugees began in 2007. A decade later, over 20 percent of Aurora’s population is foreign born. The major ethnic groups by population size are Mexican, Ethiopian, Salvadoran, Korean, and Vietnamese. A new Salvadoran consulate opened in the city earlier this year. Students in Aurora public schools speak 140 different languages. Numerous non-profit organizations assist immigrants and refugees with access to city services and education for American citizenship. 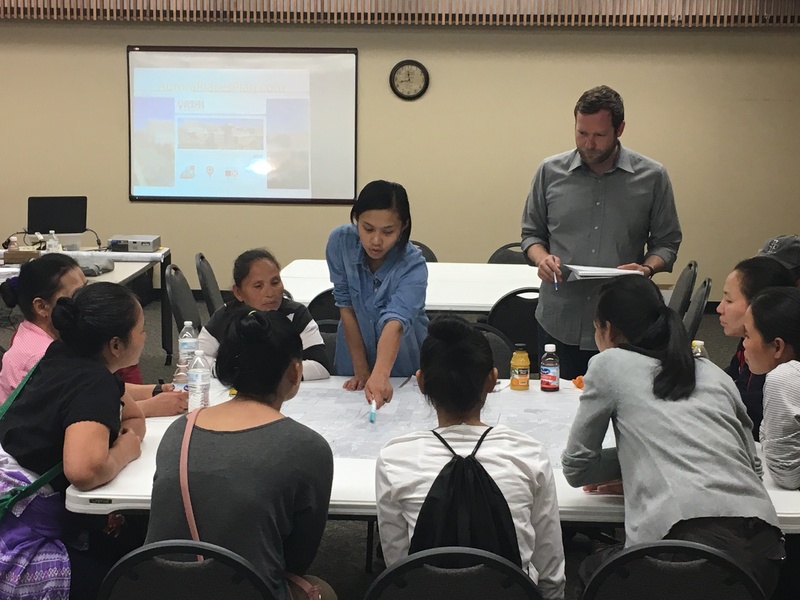 The city works diligently with immigrants to assess their service needs via citizen-led workshops offered in multiple languages (English, Spanish, Korean, Amharic, Somali, and Burmese), online outreach, comment cards, and other forms of engagement. Aurora has its share of crime, but it’s still is one of the safest big cities in Colorado. A multicultural community policing initiative has educated newcomers about American laws and law enforcement issues. This initiative has built community confidence in the concept of Neighborhood Watch, and citizens trust that police will expeditiously respond to calls for assistance. Although Aurora is much more culturally integrated than Denver, challenges for planners remain. The city is not very diverse from a land use, public space, and housing types perspective. Aurora was built on a suburban land use model and is dominated by single family residences. To help remedy this situation the Aurora planning department has mounted an “Aurora Places” planning initiative to solicit ideas from citizens that can guide land use and development policies over the next 10 to 20 years. So far, the initiative has received feedback in seven languages from over 2,300 people via surveys, workshops, and other events. Housing: Aurora needs affordable housing for the lowest income groups, but also higher-end housing for the many young professionals who work at the CU medical school campus and elsewhere. 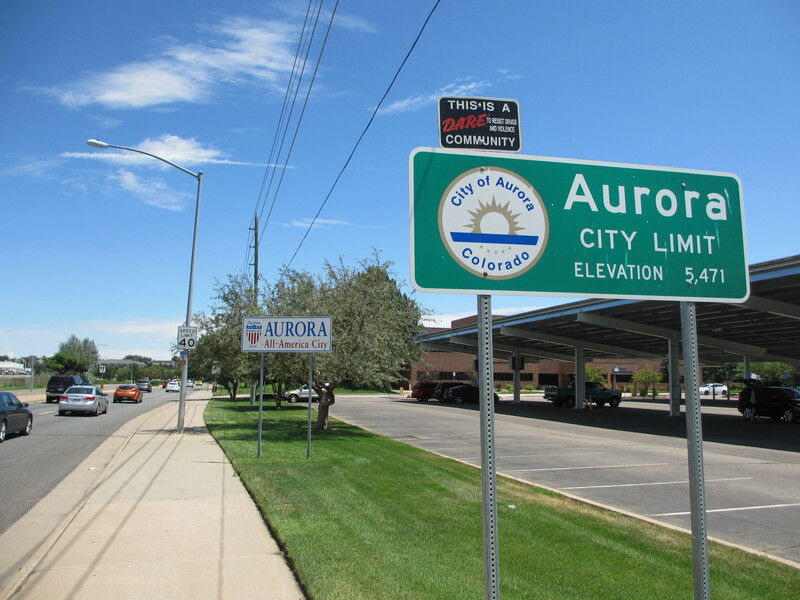 Nearly 75 percent of the people working in Aurora live outside the city. Many live in Denver and commute. This isn’t helpful for community building, or for the environment. Jobs: People want jobs of all kinds, the training that will prepare them to fill those jobs and, of course, affordable housing that will allow them to live near where they work. This was a clear, compelling, and recurring theme. Diversity & Equity: The brief conversation about this complicated topic was interesting. Attendees called for civic leadership having “different ways of thinking about things.” The conversation was a bit reserved, and short on specifics. I sensed an elephant in the room; namely, the whiteness of Aurora’s civic leadership. The takeaway challenge might be framed as follows: Are civic leaders prepared to rethink—even radically rethink—traditional ways of planning, programming, and policy making in light of the city’s increasing ethnic diversity? Health: There was much less hesitation to talk about community health. Citizens called for more and better recreation centers and playgrounds. There was palpable enthusiasm for open spaces that can accommodate soccer playing, and for covered, semi-indoor facilities that can be used for the same purpose (among other activities) year-round. Community gardens are clearly desired, suggested as an alternative to all of that ornamental “tropical” landscaping. Access and Mobility: There’s a huge interest in creating better connections between different modes of travel. These include connections between neighborhoods and rail stations, and between bike paths, bus routes, and rail lines. Another concern is a safer pedestrian experience along roadways and at intersections. At the same time, a plea was made for expanded roadways. Attendees were reminded that road expansion is expensive, and can work at cross-purposes with planning for sustainability. Clearly, there’s a lot here to sort out. Sense of Place/Civic Identity: Another big topic. The framing question is: What will attract people to Aurora beyond motivating them to both work and live in the city? Workshop attendees were united in urging planners to “aggressively” stay the course. Nearly 75 percent of respondents to citizen surveys say that things are better now than when they moved to Aurora. A particular focus of discussion was the Aurora Municipal Center. Today this area is a monumental civic space containing city hall, police, courts, public library, and history museum. It’s all very bureaucratic and imposing. However, there might be an opportunity to re-invent the municipal center as an intimate downtown given the right amenities (shopping, distinctive local restaurants, enhanced cultural facilities) and some work along the edges to make it much more inviting and pedestrian friendly. This workshop was an uplifting and energizing event. I was impressed by the openness and sensitivity of the city officials who served as workshop moderators. They put attendees at ease, and their gentle touch encouraged citizens to speak their minds. Many did. The moderators also made sure to make attendees aware of small grants available for neighborhood improvement through the Aurora Immigrant and Refugee Commission. They encouraged attendees to think beyond basic infrastructure to other aspects of placemaking; e.g., to the role that culturally-significant public art can play in helping citizens identify with, and take ownership of their city. Aurora has already been identified by The New York Times as one of ten cities to see public art in 2017. 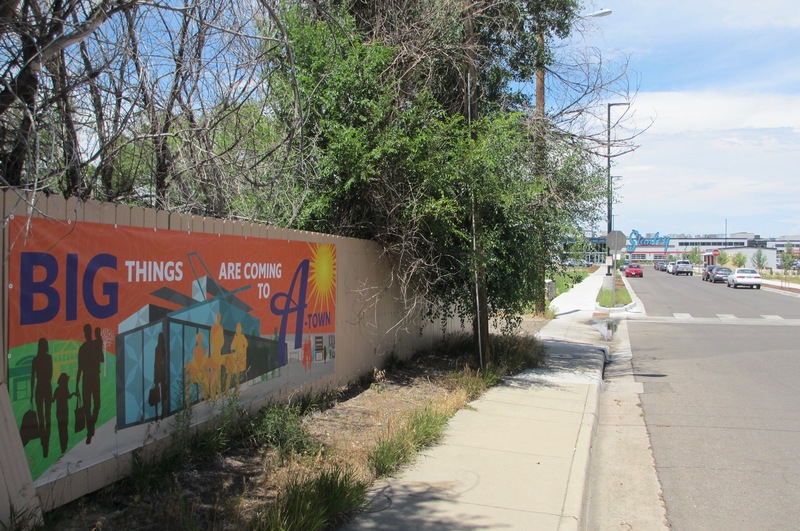 There’s a push by the city’s leadership to spruce up an existing arts district along a historically-significant but relatively run-down stretch of East Colfax Avenue, and to build a new multicultural arts center. Although my workshop table was very active, I wish I could have been a listener at the Southeast Asian table where the translation from native language to English was occurring. There could have been a deeper dive into topics like civic leadership and its implications for realizing a diversity agenda. However, a framework for further discussion on this topic was established. The workshop also presented an opportunity to meet some kindred spirits in the quest for a more inclusive city; namely, staff associated with the Village Exchange Center (VEC). A non-religious entity, VEC is renovating an existing church to serve as a multi-faith gathering spot for immigrant and refugee communities. St. Matthew Lutheran Church responded to the problem of a shrinking congregation by donating their building and land in service to the physical and spiritual needs of a diversifying community. St. Matthew’s congregants view this outward turn to a wider community of “Others” as also offering some hope for their own rebirth and renewal. This wise and generous decision is an inspiration, and promises great benefits for the city. Office and meeting space will be provided in the building’s basement for a number of different non-profit organizations working with immigrants and refugees. Classes on citizenship and entrepreneurship will be offered, with a special interest in outreach to middle-school youth. A large industrial kitchen and garden space at VEC will allow programming around food production, preparation, and distribution (e.g., food-trucks). Such a focus would dovetail with an idea that’s been percolating for several years about making Aurora a destination for “culinary tourism.” VEC staff are eager to ally with universities in the interest of taking an interdisciplinary approach to the challenge of immigrant and refugee integration. For example, they’ve signed up one of my anthropology graduate students as an intern for the coming academic year. Our work together will help us get a feel for the services that immigrants and refugees currently use, their long-term needs, and their relationships with fellow citizens. The challenges confronting Aurora going forward are many. Developers are needed who will help diversify Aurora’s urban fabric, public space, and housing. The Stanley Marketplace will be one bellwether, given its communitarian ethos and its plans to create a public plaza and associated housing. The housing at Stanley is being planned with millennials in mind. However, it might be wise to target people at low and middle income levels where research suggests intercultural integration is most likely to stick. Inquiry into the type and form of housing preferred by different ethnic groups is also advisable, akin to the research reported here. Programs that better connect refugees and residents will be important, given that tensions in that relationship remain an issue. In light of what was said about sports at the June workshop, it seems like soccer leagues for kids would be one winning, community-unifying formula. Much will also depend on continuing to strengthen Aurora public schools. 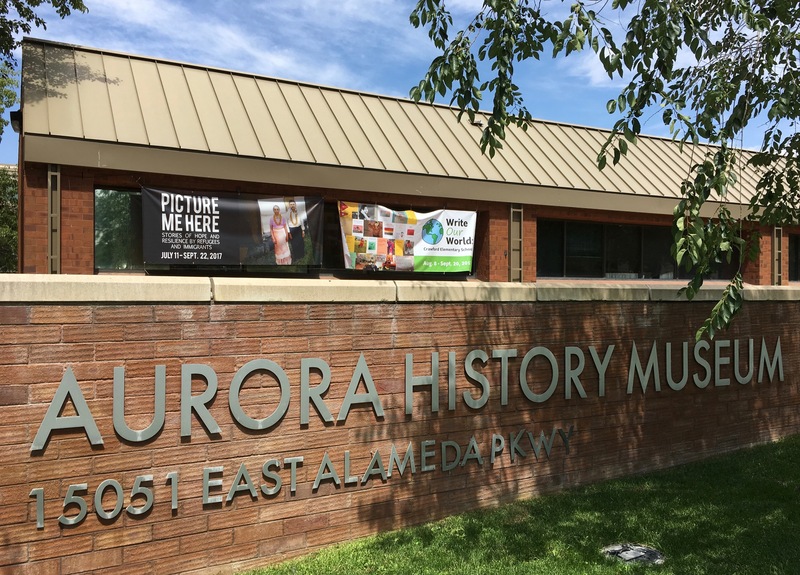 The Aurora History Museum is doing its part to narrow the cultural divide: two current exhibits help us understand the immigrant experience through photographs taken by refugees on their journey to America (“Picture Me Here”), and stories about their cultural roots written by elementary school children (“Write Our World”). Accumulating scholarly research indicates that immigration is a prosperity-boosting phenomenon for cities, one that raises all boats. Aurora citizen survey data firmly establish that new arrivals see a city that’s on the rise. These data also indicate that citizens view cultural diversity as one of Aurora’s greatest strengths. Whether long-time residents share that view is, of course, another matter. But at the moment Aurora is one of the American cities to watch for experiments in intercultural urbanism. 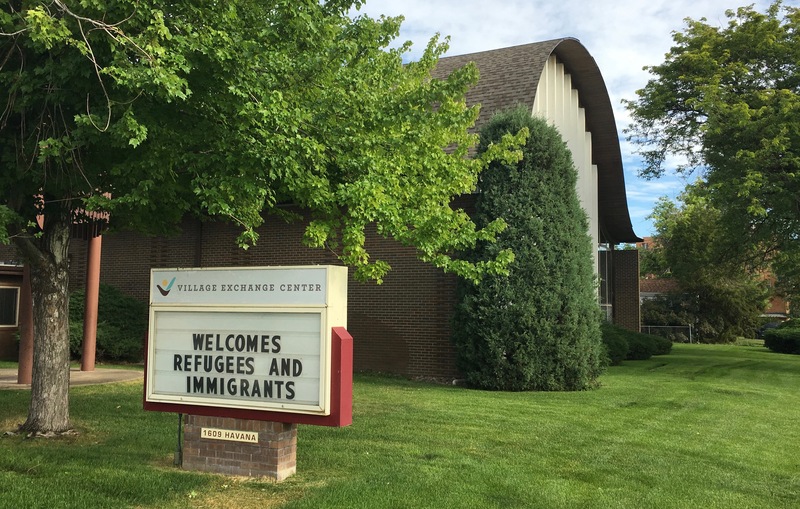 Aurora planners and immigrant and refugee service providers are excited about embracing the challenges before them. There’s every reason to be optimistic that these challenges will be met given their commitment to this cause, and the considerable progress that’s already been made.